Practice with a dummy will improve an all-rounder's hunting technique. All round gundogs are fun to shoot with and rewarding to train, so why do we not see more them in the field? A summer of perfect training does not translate to a fault-free season. 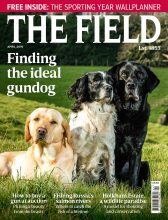 Janet Menzies advises on how to train all round gundogs. Another way to ruin a promising youngster is to allow them to get overweight and plodding when they should be in their prime. Read gundog training class: overweight gundogs for advice on how to prevent this. All round gundogs make shooting even more enjoyable and rewarding, and training one takes little more work than with any other dog. So why is it that we dont see more of these versatile paragons out in the field, sitting quietly on the peg, hunting up a bit of cover or picking a strong runner as and when necessary? Unfortunately, the gap between summers training in the theory of all round gundogs dogwork and autumns practical experience has a depressing tendency to get wider with each days shooting. The dog which sat beautifully on the peg and picked-up dozens of birds in addition to taking its turn in the beating line on the first day of partridges has somehow become a running, flushing demon by the time pheasant-shooting arrives. Experienced dog handlers say that the worst thing you can do with a promising youngster is take it beating. Not only is it the worst, but also the first thing many novices do with their potential all-round gundogs. These days few amateurs have easy access to a rabbit pen or a nice little sporting walked-up shoot which would make an ideal introduction to work in the field. But once it is known you have a decent dog, the offers of beating come in thick and fast. If you hope your dog will mature into a versatile, obedient animal that can do anything from sitting on the peg to bolting a rabbit, these offers must be resisted. Most of us are tempted into beating because we fear there will be no other opportunity to practise the the all round gundogs hunting. In fact, beating is very different from proper dogwork. When your dog is hunting, his job is to produce the game for you to shoot easily and safely. So he has to quarter close to you, missing no game and flushing birds well within range, then sitting still (dropping) while you shoot. But when the dog is working in a beating line, all he is doing is driving game towards a waiting team of guns who may not even be in sight. Few beating lines give him an opportunity to quarter properly. While your gundog is young, don’t let him have more than a couple of retrieves. Game is usually bumped up by general disturbance rather than being genuinely flushed by the dog, and if he is lucky enough to get a contact flush, the line wont stop long enough for him to drop. Worse still, the beating line will be populated by wild-eyed things completely out of control, whose only aim is to get to the other end of the cover as quickly as possible - and thats just the men.  There may be times in your shooting life, particularly if you are part of a stand-and-walk syndicate, where beating is unavoidable. To mitigate it, try these secret steadiness tactics. As far as possible, just walk your dog to heel  in itself a good exercise for a dog who will be sitting on a peg as well as all his other duties. If challenged on that, then hunt him in a pattern that is very flat, that is, the dog passes in front of you right at your feet, to prevent him getting too hot or running-in. If the line is going too slowly for your strong hunting dog, then send him out wider to either side of you, rather than let him pull on in front. All the other dogs will be running on ahead in straight lines, missing tons of game and being generally wild. If your dog happens to get a flush, dont worry about making him sit, just pip him straight back to you and walk him to heel for a bit until the steadiness penny has dropped. If beating is out of the question, how do you find opportunities to practise your dogs hunting skills? Virtual hunting is the answer  even top field triallers use it. You dont need a gun because what you are really working on is improving the dogs quartering pattern and his steadiness. Your shooting and his retrieving are less important. Go anywhere with public access where there is a bit of game or game substitute  seagulls on the beach or pigeons in the park will do! A bit of rough ground with rabbit scent on it is ideal. Hunt your dog, and if he flushes something (squirrel, mouse, courting couple), drop him as if it were game. 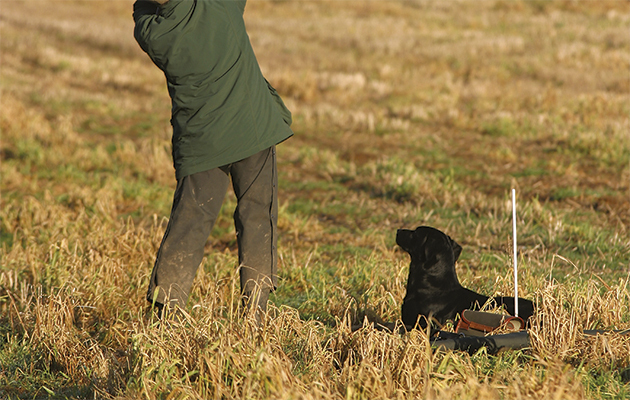 Some handlers clap their hands to their all round gundogs or make a noise to simulate a shot, and you can throw a dummy at the same time. Although its not the real thing, it will work on his hunting technique and, more importantly, his steadiness. Steadiness is the key factor, enabling your dog to mature into a reliable all-rounder. All the aspects of shooting that will tempt him out of steadiness  beating, quantities of retrieves, seeing large volumes of game  must be introduced in a very controlled way. A dog that has spent too much time beating will usually become too headstrong to shoot over successfully. A young dog that sees too much game and gets too many retrieves will find it difficult to sit and relax on the peg. Since you want your dog to be able to do all these things, you must be self-disciplined when you work him. Its tempting after a drive on which you have shot well to let him zoom out and hoover up all your birds, and you may get away with it once or twice, but eventually he will start running-in. Instead, leave him sitting on the peg at the end of the drive while you go out and hand-pick a couple of close birds. Then go back to the peg and send him for the farthest bird. Dont let him have more than a couple of retrieves, so he wont make a strong association between sitting on the peg and a retrieve-fest to come. Avoid shooting very heavy drives over him, especially while he is young. With the noise and the action and the birds raining down, your dog can be forgiven for ending up twitchy. Leave him in the vehicle during that amazing drive; you can mooch off together looking for runners at the end. 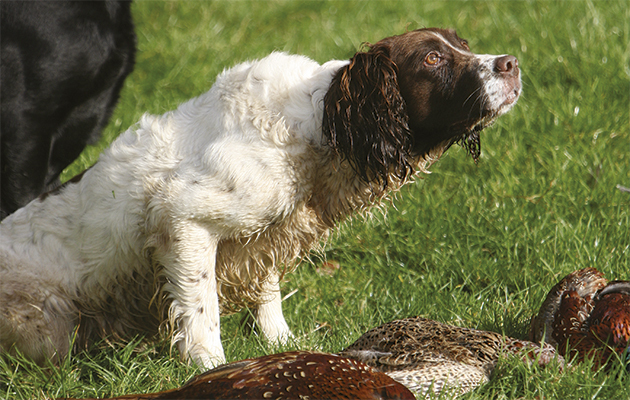 It is important to be fully aware of the danger areas for all-round gundogs. Beating, heavy drives, too much retrieving and too much game are the things most likely to send your versatile youngster off the rails. Try to avoid these risk factors during the first couple of seasons. Inevitably, though, there will be times when you put your dog under stress. But dont panic. As long as you dont let things slide, no harm will be done. When you recognise that you’ve shot too many birds over your dog, put him in the vehicle to relax for the rest of the shoot. Always watch him carefully for signs that things are getting a bit much, and call it a day at that point. He is probably right anyway; there is such a thing as shooting too many birds. If a young dog is good on the peg it’s unreasonable to expect equal performance in the beating line. The graveyard of gundog training, but often all that is available to amateur handlers. Don’t take a young dog in the beating line on big commercial days. Find small shoots where there is respect for dogwork; it helps if the keeper is a keen dog handler. Exact opposite of beating, requiring the dog to sit steady for long periods while being shot over. Very few dogs ever adapt to doing both successfully; dont expect a young dog to. Even if it is not a pointing breed, the all-rounder should signal game by body language, and must always drop (sit still) after bolting or flushing game. Working the dog to the gun, quartering the ground. Keep a tight pattern, with the dog passing almost at your feet and zig-zagging quite wide to the sides. The easiest skill to introduce. On big days stand well back from the line. When walking-up always remember a distinct pause after the fall of the bird before sending the dog on the retrieve. Vital. Instant obedience to all commands in any situation is what makes a good all-rounder. Use it to teach the dog to hunt methodically and to drop to flush. Also calms the dog by helping it to realise that not every flush will result in a shot and a retrieve.